It’s Tuesday, February 5th – and NBC 6 has the top stories you need to know. Our very own Arlene Borenstein was able to reunite Natalie Gonzalez and her beloved dog Mateo after a man randomly showed up in front of the girl’s home and dropped the dog off. Surveillance video showed a woman stealing the pup Monday. It's unclear if the man who dropped off the dog had anything to do with this crime. As Patriots Nation celebrates being the champs of Super Bowl 53, the committee has already launched their “Live It Miami” campaign for the game that will take place next year on February 2nd inside Hard Rock Stadium. Chairmen Rodney Barreto says this year’s hype video narrated by Pitbull highlights Miami’s flavors and rhythm - which has changed since South Florida last hosted a decade ago. The committee will build a temporary marina along Bayfront Park and says the big game will bring an economic boom to the Magic City. This is the 11th time South Florida has hosted the game. Among all invited guests is an 11 year old who has been bullied because of his name – even though Joshua Trump is not related to the president. He even had to begin home school because of the bullying. The vessel offloaded more than 34,000 pounds of cocaine at Port Everglades in Fort Lauderdale today after they were seized off the coasts of Mexico, Central and South America by multiple cutters. One of the big three is getting his number put in the rafters of the AmericanAirlines Arena forever! 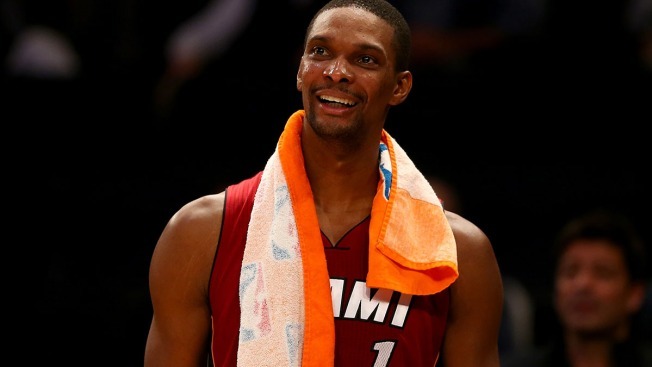 Bosh will be only the fourth Heat player to have his number retired. It'll hang alongside Alonzo Mourning, Tim Hardaway and Shaquille O’Neal. The ceremony is set for halftime during the March 26th game against Orlando.